After being asked numerous questions about the tax treatment of cryptocurrencies, it’s been suggested that a taxsplainer article on the topic would be useful. Here it is, in whatever passes for all its glory in Tax Land, a mere shadow of the usefulness of lawsplainer articles. Keep in mind that this is written in March of 2019, and the U.S. tax treatment of cryptocurrency is, as politicians like to say about themselves when ugly quotes from their distant political past (like last week) are unearthed, “evolving”. OK, what the hell is a cryptocurrency? Excellent question – the first cryptocurrency, Bitcoin, appeared in 2008/09 as sort of a side gig from the invention of blockchain, a decentralized peer-to-peer network for record keeping using a public ledger. Blockchain technology is thought of as a highly secure process that may eventually be useful in a variety of record keeping, contractual, and financial services areas. The Blockchain entry in Wikipedia may be a useful jumping off point if you’re dying to know more about blockchain. People can and do argue about the reason for the invention of a currency not controlled by any government entity, but there isn’t any doubt that one of the earliest uses of cryptocurrency was to avoid having financial transactions recorded. Criminals producing ransomware often use a cryptocurrency to avoid being caught. Besides obvious criminal acts, undisclosed financial transactions and accounts are key elements in tax evasion – even more so since the evolution of secret Swiss bank accounts into not being quite so secret any more. Fine, I still don’t know what a cryptocurrency is. For purposes of this article, let’s use this as the working definition of a cryptocurrency: a digital asset intended to be used as a medium of exchange that is tracked using a decentralized system of computerized recordkeeping that is not part of a state-sponsored or central banking organization. Hmmm….is cryptocurrency really a currency? Not in any sense of the word “currency”. Here’s a chart of the price in U.S. dollars of Bitcoin from 2010 until now. As you can see, the value of a single Bitcoin has ranged from a low of 6¢ to a high of over $17,500 in late 2017. This is not the kind of currency fluctuation you’d associate with a stable currency. Other cryptocurrencies have had similar price fluctuations. It’s probably safer to assume that cryptocurrencies are more like penny stocks than currency. But at least cryptocurrency is secret and unhackable, right? Umm….maybe not. Here’s a recent article from the Technology Review that details some current issues with the blockchain technology that underlies the functions of cryptocurrency. There have been several recent hacks of cryptocurrencies resulting in the loss of several billion dollars. It’s reasonable to assume that computer criminals and law enforcement agencies around the world have an interest in knowing about crypto transactions and that technologies previously considered unhackable will proved to not be. So, tell me again why I’d want to own a cryptocurrency? Sorry, I’m no help there. Investment advice is beyond our scope of practice but I will say that I can’t imagine a reason to own cryptocurrency as an investment given the volatility of the markets and the state of the underlying technology. OK, let’s say I did own a cryptocurrency and wanted to know what the tax issues were – asking for a friend. Sure. Let’s start with the basics: the U.S. Tax Code has an underlying assumption that virtually all transactions (where one thing of value is exchanged in any form or format for another thing of value) are subject to income tax, unless there are clearly defined exceptions. Examples of some of the exceptions are like-kind exchanges (more on that later), personal transactions where there is a loss, involuntary conversions of some kinds, etc. Buying a cryptocurrency with U.S. dollars is not taxable event. To get down a little deeper into the weeds, U.S. taxpayers use the U.S. dollar as their “functional currency” – the currency in which they report their transactions. What the IRS was saying in Notice 2014-21 is that whatever you choose to denominate your transaction in, you must convert it to U.S. dollars for tax reporting purposes in a “reasonable method that is consistently applied,” and that rules similar to any other transaction involving giving or receiving property apply. Can I swap one cryptocurrency with another and avoid picking up gain using the like-kind exchange rules? Slightly different rules apply to pre-2018 and post-2017 transactions, but I think they end up with the same answer: no. 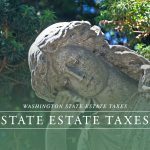 After 2017 it’s a simple explanation, the 2017 tax act made a change to §1031 wherein the only property that may be exchanged on a tax deferred basis is real property. Since cryptocurrency is not real property, §1031 is simply inapplicable after 2017. Before 2018 the analysis as to whether one cryptocurrency could be exchanged for another and have any gain be deferred under §1031 hinged on whether one cryptocurrency is of a like-kind with another. Although some commentators (especially those involved in the cryptocurrency markets) maintained that they qualified for like-kind treatment, most tax professionals thought that they did not for one or more technical reasons. First, there was no substantial authority (IRS or Treasury guidance) indicating that one cryptocurrency is like-kind with another, in fact there were earlier cases indicating analogous assets, for example, Krugerrands and U.S. gold coins were not like-kind. Second, one of the requirements for a valid §1031 exchange is that the exchange itself must either be a direct exchange between two parties or a carefully structured third party exchange overseen by an “exchange facilitator”. Cryptocurrency exchanges failed to meet either of those tests. So, I have, I mean I have this friend who has cryptocurrency and regularly trades in it, what advice do you have for me, I mean him? First – why is he doing this at all? The IRS and Treasury are concerned enough about underreported income via cryptocurrency that they are actively trying to figure out a way to bring the crypto exchanges to heel using various statutes in the bank secrecy act area, so the perceived secrecy (if there is any) of using cryptocurrencies may be short lived. Great, you’re really discouraging me – any other bad news? Sure, I’ve saved the worst for last. Years ago, Congress was worried that Americans were hiding money overseas. In their usual patchwork approach to solving anything, they created two reporting regimes for foreign financial assets and foreign bank accounts, with stiff punishments for failing to follow the reporting rules. The Foreign Account Tax Compliance Act (called “FATCA”) was created to gather information (euphemistically called “combat tax evasion”) by U.S. people holding accounts and financial assets offshore. FATCA generally requires holders of more than $50,000 in assets to report those holdings annually on Form 8398, which is filed with the taxpayer’s income tax return. The thresholds vary depending on few things including marital status and country of residence. The penalty for noncompliance starts at $10,000 per form and ratchets up depending on the taxpayer’s level of obstinance. Separately, U.S. persons who have a financial interest or signature authority over any financial accounts exceeding $10,000 at any time of the year outside of the U.S. are required to file a report under the Report of Foreign Bank and Financial Account (called “FBAR”) guidelines. Financial accounts subject to the rules include bank accounts, securities accounts, insurance policies with a cash value, pooled funds like mutual funds, and other accounts maintained with a foreign “financial institution.” Civil penalties for failing to file an FBAR or filing a false or incomplete FBAR range up to the greater of $100,000 or 50% of the amount in the account at the time of the violation, criminal penalties range from fines of up to $500,000 up to prison terms of up to ten years. You can find a comparison of the FATCA and FBAR requirements here. 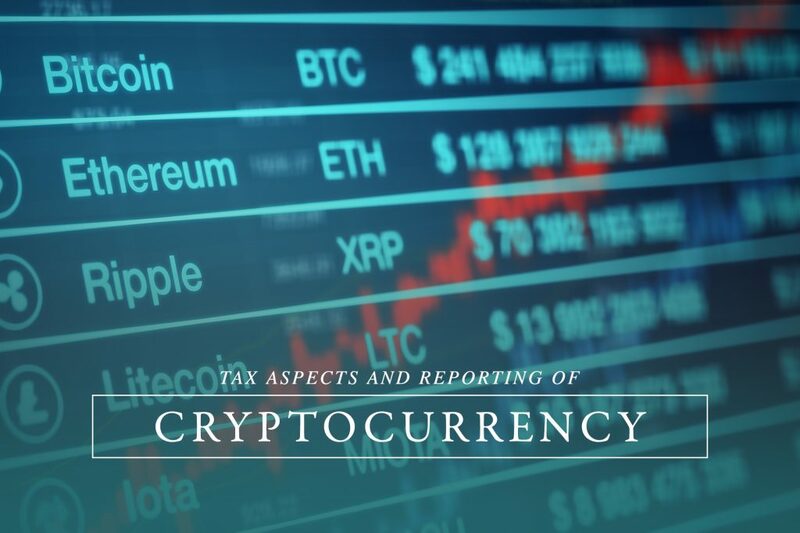 Little to no guidance has been issued by Treasury as to whether FBAR or FATCA reports are required for cryptocurrency and the tax consulting community is divided. Unresolved issues include whether a cryptocurrency account held by a U.S. resident is even a foreign account – if the account exists only in a peer-to-peer network that includes a complete copy on servers in countries all over the world, including the U.S., is the account even a “foreign account”? Knowledgeable observers are advising clients that they should probably file an FBAR for cryptocurrency accounts maintained by third party. Let us know what you think by sending any comments or questions via e-mail.